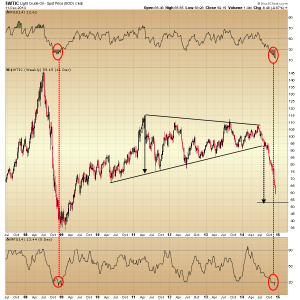 A large multi-year ascending triangle had been forming on the weekly chart of spot Light Crude Oil (WTIC), and when that pattern support line was broken in October, the price of the commodity moved rapidly lower. The pattern breakdown projects a target price into the $53.00 area, about $5.00 from its current level. It is interesting to note that the RSI and the volume-weighted Money Flow Index are both deeply oversold. These oscillators can stay overbought or oversold for extended periods, but this is the first time since the 2008 low that both indicators have been in simultaneously oversold conditions. 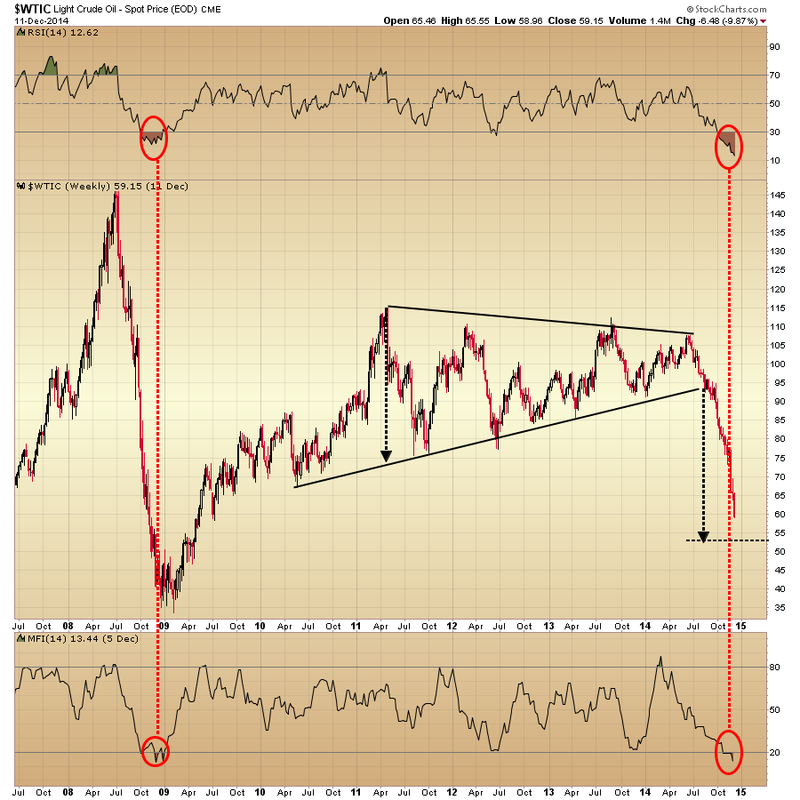 The pattern price projection and the price and money flow momentum indicators together suggest crude may be nearing a support level.